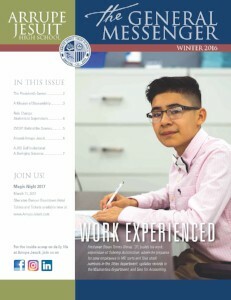 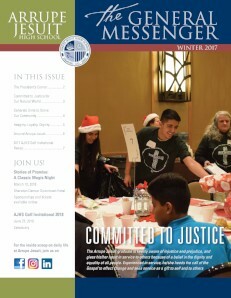 The General Messenger delivers the best of AJHS news twice per year. 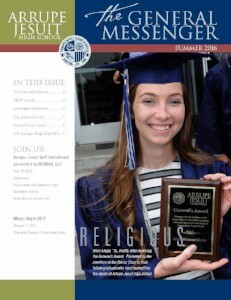 Each edition is centered around stories that exemplify one of our Grad at Grad principles. 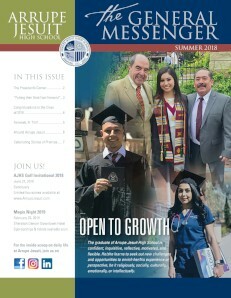 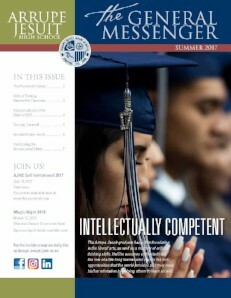 The most recent edition, to the right, explores the many ways in which Arrupe Jesuit students are prepared to become Open to Growth, as well as the highly anticipated graduation recap!